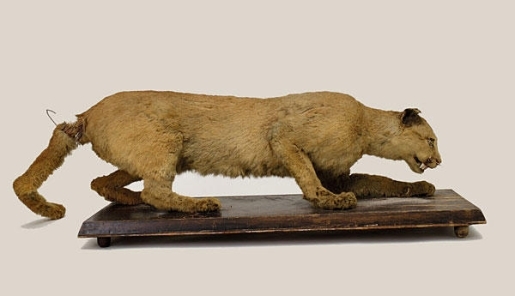 The eastern cougar, now found only in museums. Bad news, big cat fans; the number of big wild cat species has decreased by one. The eastern cougar, known as the ghost cat or the catamount, is no more. The US Fish and Wildlife Service has officially declared the eastern cougar as extinct. We’re not talking extinct in the wild, we’re talking completely gone. Now, the only cougars you’ll be able to find on the Eastern seaboard are of the female variety, not the animal. It has been an incredible 70 years since the last sighting of the eastern cougar, which was hunted ruthlessly in the 1700’s and 1800’s; there have been a few hundred cougar sightings since then, but those have been western cougars (which have shorter tails and different-colored coats) or black panthers illegally released into the wild. The eastern cougar has been on the endangered species list since 1973.